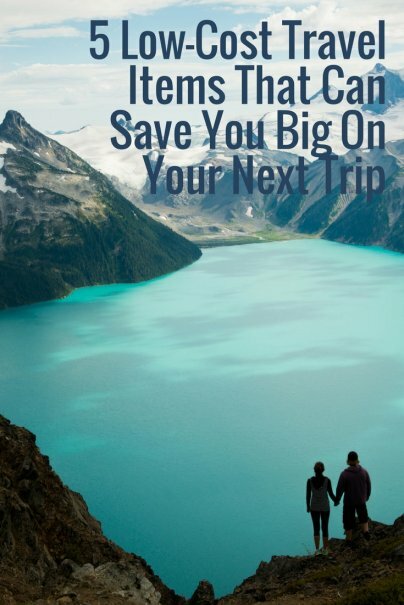 Traveling can be great fun, but sometimes it requires a bit of creative thinking to figure out how to finance your next trip. Luckily there are some cost-effective purchases that can help you save money in the long run. Camping can be a great alternative to staying in pricey hotels while you travel, but you will have to pay some one-time costs for a tent, sleeping bag, and a few other camping basics. You can purchase a light, quality tent for under $150 on Amazon. When you consider that is less than the cost of one hotel night in many places, you can see how quickly this investment will pay for itself. Bottled water can cost $1 or more. That's not expensive, but it can add up, especially if you're in a place where the tap water is not safe to drink. You can buy an easy-to-use and affordable filter that enables you to drink water anywhere you go. Not only will you save money on bottled water, but you can reduce waste by cutting down your consumption of plastic. It is eco-friendly and budget-friendly. There are a variety of water filters available. "Water straws" are lightweight and portable. This type of filter won't take up much space in your bag, and usually fits into a standard-sized water bottle. You can either bring your own empty bottle or purchase a cheap one at your destination to reuse. On a wilderness canoe trip through the Boundary Waters, Minnesota, I found a water straw indispensable. There were no roads or drinking water in the area, and bringing water along wasn't practical because it's heavy and would have taken up a lot of space in the kayaks. The best option was to filter water from the pristine lakes. Another option for treating water is to use iodine pills, which are cheap and easy to transport. However, the disadvantage of iodine is that you have to wait half an hour for the treatment to become effective, while with a water straw filter system, the water is ready to drink as soon as you've filtered it. A digital luggage scale costs about $10 and can help you avoid paying costly overweight baggage charges at the airport. I've seen these charges run from $50 into the hundreds. Investing in a quality pair of shoes before your trip is a sure way to save money. If you can walk comfortably, you can avoid paying for expensive taxi cabs to get around once you reach your destination. Not only is walking a great way to save money, it will also help you stay active and better see the place you are visiting. When you're buying shoes, try to pick a pair that provides adequate support without being too heavy. You'll also want them in a design you genuinely like and a style that can go with most of your clothes. Buying shoes that are versatile means that you can pack a little lighter. Lems makes comfortable and incredibly portable travel footwear that I use and love. If you're already planning your next trip, now is a good time to sign up for a travel credit card. A good card will charge you no foreign transaction fees. That's the fee that some cards charge you for any purchases you make in another currency. It's usually around 3 percent, which means if you charge $1,000 on your trip, you'd have to pay an additional $30 in foreign transaction fees. Many travel cards also come with money-saving perks such as free checked bags on flights, free rental car insurance, free trip cancellation insurance and other types of travel coverage. The good news with a travel credit card is that you may not even have to "purchase" it at all. Many travel credit cards will waive their annual fee for the first year, as an additional incentive to get you to sign up.